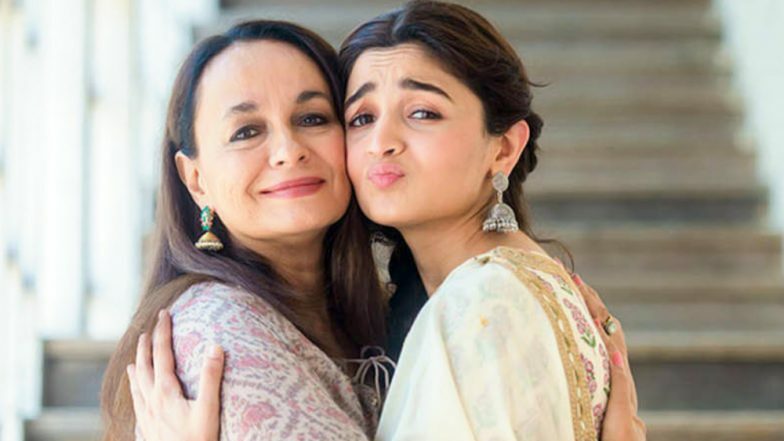 Alia Bhatt and Her Mother Soni Razdan Can't Vote in Lok Sabha Elections 2019, Here's Why! The Lok Sabha Elections 2019 have now commenced and around a month ago, Prime Minister Narendra Modi had reached out to Bollywood celebrities, asking them to urge people to cast their votes. Among the many celebrities that the Prime Minister tagged in his tweets, was also actress Alia Bhatt. In the past, we have mentioned how several celebrities in Bollywood are not eligible to vote and guess what, Alia Bhatt is one of them. At a recent event, the actress was present for the promotion of her upcoming film, Kalank when she was quizzed about casting her vote in the Lok Sabha Elections 2019. While her co-stars, Varun Dhawan and Sonakshi Sinha particularly spoke about how they will be voting in Mumbai, when Alia was asked if she will be going too, she replied saying, "I can't vote." She further nodded when she was questioned if it was because of her British passport. Yes, for the uninitiated, Alia Bhatt holds a British passport just like her mother Soni Razdan. Since Indian rules don't allow dual citizenship, Alia will not be able to vote until she gives up her British citizenship to get an Indian passport. Apart from Alia Bhatt, there are also other celebrities such as Deepika Padukone and Akshay Kumar too have a similar story with citizenships of other countries. PM Narendra Modi Requests Alia Bhatt, Deepika Padukone, Akshay Kumar to Appeal Fans to Vote, But Can They Vote Themselves in India? In the meantime, on the work front, Alia Bhatt is all set to give yet another stellar performance with her upcoming film, Kalank. The film directed by Abhishek Varman is all set to release this Wednesday, April 17. It is a multi-starrer with Varun Dhawan, Sonakshi Sinha, Aditya Roy Kapur, Sanjay Dutt and Madhuri Dixit Nene in lead roles.